I graduated from Latvian Medical Academy (now – P. Stradiņa University). After that I worked in Valmiera Hospital, specializing in thraumatology and orthopaedy. In 1994 I received Thraumatologist – Orthopaedist certificate. Simultaneously with work in Valmiera Hospital I also had in-service training in clinics in Norway and Sweden. 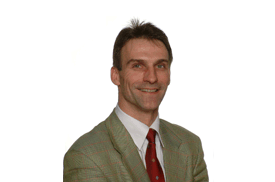 From 1995 I worked and specialized in plastic surgery in Norway, in Bergen University clinic and Telemark Hospital. In 2002 I received a Norwegian plastic surgeon certificate. From 2002 I’m working in Latvia, in “Latvian Centre of Plastic, Reconstructive and Microsurgery” in hostpial “Gaiļezers”. At the same time I also keep working in Norway, in Telemark hospital Skien and Rogland University clinic in Stavanger. I participate regulary in courses and international congresses, in order to improve my knowledge and learn the newest methods in plastic surgery. President of Latvian Plastic Surgeon Association. Member of ISAPS (International Society of Aesthetic Plastic Surgery). Proficient in languages: Russian, English, Norwegian, Swedish, Danish.